Duduzane Zuma charms DA supporters - SABC News - Breaking news, special reports, world, business, sport coverage of all South African current events. Africa's news leader. DA supporters take a photo with Duduzane Zuma outside Randburg Magistrate's Court, north of Johannesburg. 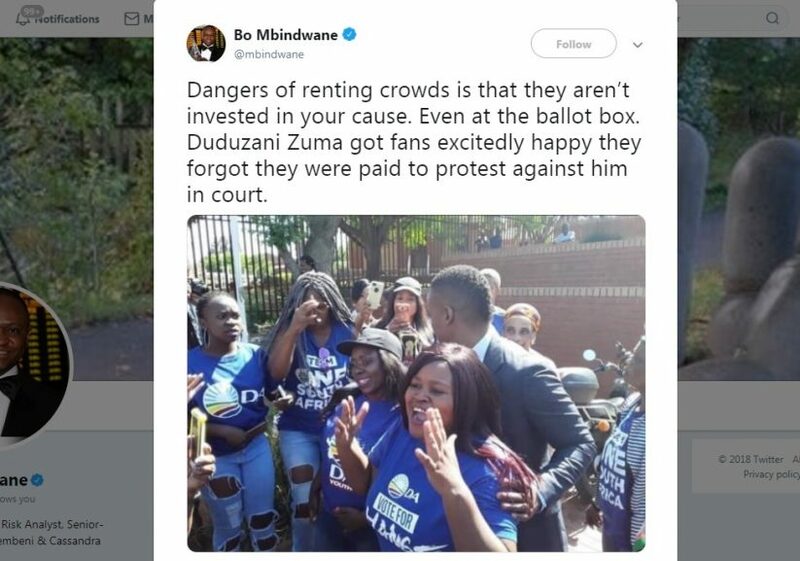 Democratic Alliance supporters forgot their mandate and ended up taking selfies with Duduzane Zuma, whom they were supposed to be protesting against when he appeared at the Randburg Magistrate’s Court on Friday morning. 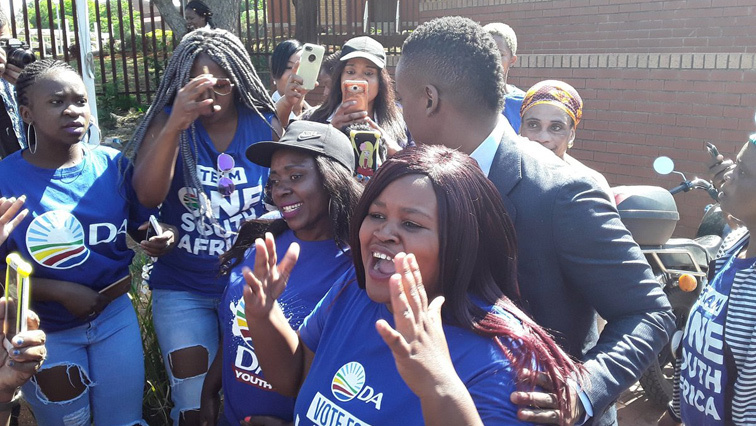 SABC News reporter, Chriselda Lewis captured the moment on video outside court, where a group of women in DA t-shirts were seen engaging Zuma, where he seems to be asking them where they are from. In the background, Black First Land First supporters, who have been in support of Zuma all along, seem to be dumb founded by what is happening in front of their eyes. People who saw the video, which was published on Twitter commented on the irony of the encounter. The video, which was posted at 9:25 am has managed to gather 23 000 views in five hours. Democratic Alliance, National Director of Communications, Mabine Seabe says the party is investigating the matter. The culpable homicide case against Duduzane Zuma has been postponed to the 24th of January at the Randburg Magistrate’s Court. This entry was posted on 26 Oct 2018,05:30PM at 5:30 PM and is filed under Politics, Homepage Featured Story Slider. You can follow any responses to this entry through the RSS 2.0 feed. Both comments and pings are currently closed.